Action hero must save his family trapped in a tall tower after it is taken over by terrorists: hmm, let me think. Nope, can’t think of anything, Skyscraper is an absolutely original thought from Hollywood. Said action hero is played by Dwayne Johnson – somehow struggling to portray a figure who will stop at nothing to rescue his family – and sees director Rawson Marshall Thurber needing to rely on all the action/suspense tricks he developed on his previous films Dodgeball and Central Intelligence. For some reason the director didn’t work with his usual composer Theodore Shapiro (more than capable of scoring this kind of thing and crying out for an escape from comedies); for some reason he turned instead to Steve Jablonsky, veteran of the Transformers franchise and the films of Peter Berg. I would say that I have struggled over the years to find a hook that pulls me into this composer’s music: while other composers have emerged more recently who ensure that Jablonsky is not my least favourite film composer (I suspect Junkie XL has that particular honour nailed down until I take my last breath), it is fair to say that I doubt I will be sitting here in fifty years listening to the scores of Battleship or Pain and Gain in the way that I sit here today listening to The Blue Max and The Lion in Winter. There are, of course, those who love Jablonsky’s music – and those people will be thoroughly in their element with Skyscraper because it does exactly what you expect it to. There is much loud noise; there is occasional quietness. I’m unable to discern much of interest happening either in the periods of loud noise, or in the more occasional periods of quietness. Oh, there’s a guitar, a bit like Inception. A bare-bones piano “theme” (two notes), it’s a bit like Man of Steel. Drums, drums, drums – wait, isn’t there another film composer who approaches all dramatic problems by throwing a load of drums at them? There aren’t any shades of grey here: it’s just grim, simplistic action, pretty much from start to finish (albeit with the occasional quieter moment, as I believe I may have already mentioned). Apparently the album’s indexed into 18 separate tracks, but it’s hard to notice because everything just sounds the same. (Well, in fairness, the last of the 18 is a song, by Jamie N. Commons – the fact that the N stands for Nick might not seem a particularly interesting piece of information, but it’s more interesting than anything I could say about the Jablonsky music, and the song is by a million miles the best thing on the album.) There’s no attempt at any time to create something unique (or even slightly distinctive) for the film Skyscraper. There’s no attempt to create an emotional connection with the lead character or his family, which makes the film worse and means it will make less money than if it had an actual film score instead of this extension of the sound effects. ﻿﻿﻿﻿ There are many things I can think of doing which last 75 minutes and are more enjoyable than listening to this album: for instance, staring for 75 minutes at a tin of sild. It’s pretty embarrassing that a major studio could release a summer action blockbuster with music like this in it, and rather than scraping the sky, it’s very much scraping the other end of the spectrum. Listen to it if you must, but believe me you’ll need to take a long shower afterwards and then listen to the main title from The Towering Inferno on repeat. Yawn… yet another review where Southall criticises a composer who was previously associated with Hans Zimmer , bemoans current trends in film music and pines for the scores of his youth… the language that Southall uses in approaching scores such as this has become so tired, hackneyed and predictable – ultimately just as rote, uninspired and interchangeable as the music he professes to despise. The way in which Southall constantly recycles stock phrases in his reviews of scores like this does make his criticisms of the repetition in certain composers’ works seem oddly hypocritical. It is sad to see how lazy much of his writing on modern film music has become, because a decade ago, he was one of the most insightful and thought provoking commentators on film music. Southall actually has more in common with the likes of Zimmer than he would like to admit… just as Zimmer started out as a fresh voice with promising talent, but spread his limited range too thin by taking on too many projects at once and falling back on the repetition of formulaic motifs as he got older… so Southall’s writing has declined in a similar way. He started out as an astute commentator on music that he had a close intellectual affinity for, but over time he has attempted to take on an overly broad range of film music (including scores written in styles that he has little knowledge of) and in spreading himself too thin his writing has become bogged down in formulaic repetition, and often come across as if he started out with a review-template and then just copy/pasted the names of a film or a composer after the fact – “Skyscraper” being a perfect example of this lazy reviewing technique. So much of this review feels generically phrased and lacking a distinctive personality that would distinguish it from reviews of similarly structured scores Southall has written in the past. Again, Southall’s criticism that these composers are merely going through the motions can’t help but seem oddly hypocritical given that it seems he is just going through the motions as a writer. I’ve been following Southall’s writing on film music for nearly 15 Years now, and I’m seriously beginning to wonder if it’s worth reading his reviews anymore if he’s just going to keep regurgitating the same tired formula again, only with “grumpy old man moaning about the state of the modern world” overtones. At the very least, I wish he would take on less scores and in that way ensure that when he sits down to write a review, he has something fresh and original to say, instead of just repeating the same tired formula again and again. 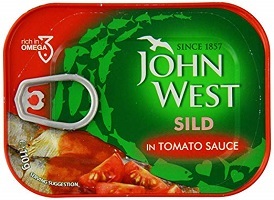 If you can point me to any other soundtrack review, ever written, by anyone, that mentions a tin of sild, you’re a better man than I am. How about simply reading a review for a non-MV/RC composer? Perhaps go into the listing of James’ reviews and choose those with four or five stars? Or is this too strange a concept for you? If ever a leading character needed a recognizable Heroic theme, it`s Dwayne Johnson as security guru in the world’s tallest building—-and when vicious arsonists set fire to a luxury apartment– at the same time hacking into the computer system and neutralising the technology that could easily have dowsed the flames, I was waiting for JABLONSKY to write a theme for Johnson that would rival his powerful, beautiful and emotive music for the Transformers. Not only does our hero have to contend with fires from other apartments that were igniting , but there’s falling debris raining upon him….his artificial limb impedes his ability to scale up metallic ladders and leap across various segments of the flaming building….and the sadistic arsonists cause his wive and kids to be separated adding to his stress levels. Lots of drumming, shrieking horns and orchestral crescendos compete with the sound-effects, but there are other scores I’d prefer listening to. Well, hello James, I’m new around here, and new in age also (17, brazilian, so forgive me for the writing mistakes), but recently I read some of your reviews and love it because we were on the same page, and I don’t know anyone that enjoys soundtracks so…. Well then I read Man of Steel, and I was surprised, understand what you like and don’t, and listen to it again with your point of view, and heck, it was different. I grew up listening to Back to the Future, than (thanks to LEGO’s video games, when they were without dialogue) Star Wars, Indiana Jones and Elfman’s Batman, but was born in Zimmer’s era. But where am I going at (lost my way a little), you show me a new way to listen to film music, (and yes, there is a few that I still disagree with you) I want to thank you for that and ask for a Transformers Last Knight review, found that one of the best from Jablonsky in general. Didn’t like Skyscraper to, only the music in the end, agree with you in this one.